This is your baby shower! It should be spectacular. 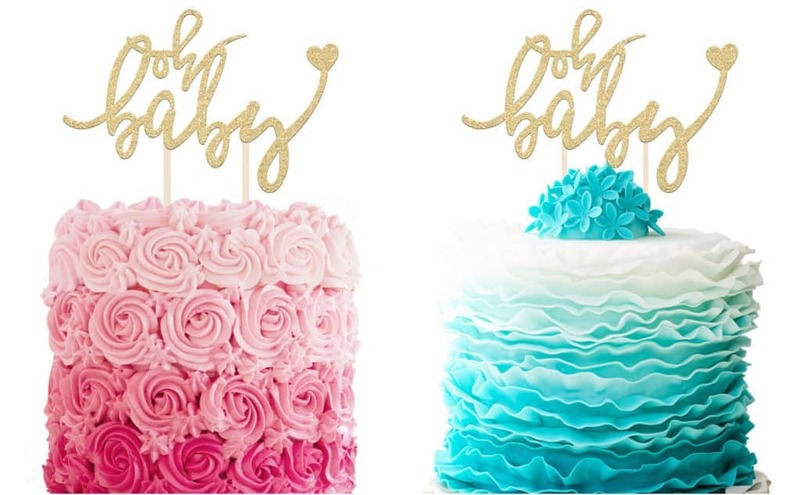 This baby shower cake topper is perfect for both baby boys and girls. Unlike other cake toppers and candles, it will still sparkle on their wedding day 20 years from now! 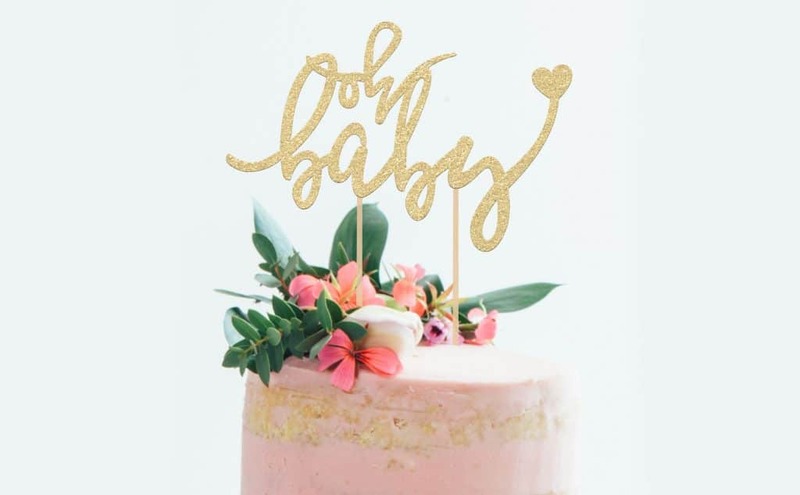 You won’t find this baby shower cake topper anywhere else! It’s uniquely & carefully designed right here, in the USA. We know you want everything to be perfect for your big party. 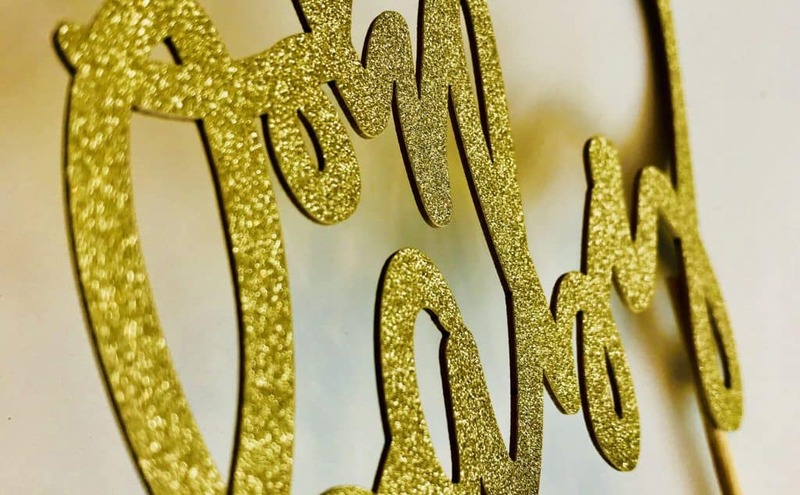 This is why we have made sure our gold cake topper will not fail you! We used premium 40pt card-stock double sided glitter paper that doesn’t leave any residue on the cake or your hands! The heavy duty construction will make sure it doesn’t bend, twist or break in any way! Made with 100% food-safe materials. The glitter paper we use will never leave a trace in the food or your hands. We also use harmless, friendly and nontoxic material for the stand. Let it touch your cake without any worries and zero hesitation! 6.5″ x 4″ is perfect of a standard size cake or a large cupcake! Whether you’re inviting 3 or 30 people. This cake topper will look beautiful on any cake! Do not settle for anything short of the very best.